INSTALL recently supported the 2016 National Apprenticeship Competition held in Edmonton, Alberta, August 18-20. The contest featured a series of events including written exams and practical competitions putting flooring installation skills to the test. To be eligible for the competition, contestants were required to be in the last year of their apprenticeship. 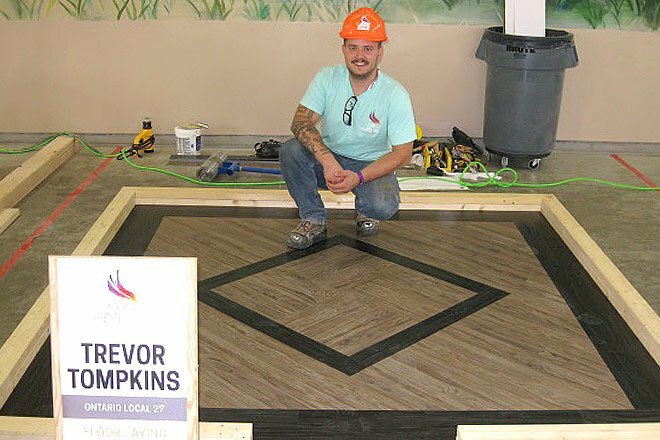 INSTALL apprentices Trevor Tompkins of Toronto finished in first place, Steven Mercer of Ontario finished in second place and Jacob Coulson of British Columbia finished in third place.